Trek Powerfly is a popular e-mountain bike model. These bikes are on the heavy side, but have rather powerful electronic assists. There are four power modes that can get the bikes thorough mild to intermediate mountain terrain real easy. There’s a women’s version of the model too.  If you are European, Trek Powerfly is definitely a brand name you are familiar with. This mountain bike model with an e-assist however is rather new to the U.S. As far as e-mountain bikes go, this is one of the most desired models. So you can imagine our delight when we got to review the mode. The Powerfly model has four bikes in the U.S., including a bike designed just for women. All bikes are hardtails and have full suspension plus 27.5 wheels (or larger on some models). The Powerfly bikes employ tail-oriented geometries. The alloy frames are long and low, with a 130mm rear suspension. Trek is using a lot of brand new tech in the Powerfly design. The bikes have the newest Straight Shot down tubes, Knock Block headsets and stems, and Full Floater suspensions. Some components are Trek’s own proprietary tech, like the ABP rear axle pivot. The brakes are really large rotors, giving these bikes really impressive stopping power. Overall, the frames are a bit on the heavy side. We tested these bikes on several intermediate to challenging mountain trails. The bikes have controls on the handlebars to adjust the power levels. There are four modes, including an eco mode that gives only 50 percent assist. The maximum turbo mode gives a whopping 300 percent assist. On turbo, it’s really easy to cover the miles regardless of the sloping. This bike really rolls even on eco mode. This assist definitely allowed our reviewers to cover long distances faster. Riding uphill with the assist was quite fun. But of course, the steepest slopes require a lot of power, which drains the battery. We did have to carefully ration the power to avoid running out of battery on the middle of the trail. The bikes are heavy, so the motor requires more power to haul it uphill. On descents, the bikes lacked maneuverability. 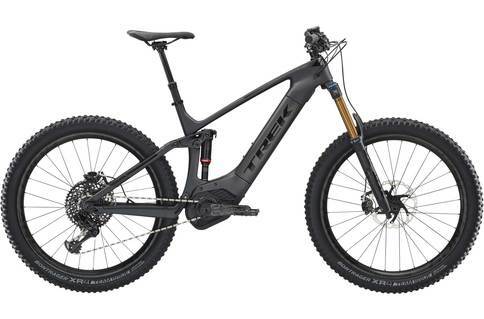 Trek Powerfly is an incredible mountain bike model with an electronic assist. There’s a reason these bikes are getting popular in Europe. If you are not sure about e-mountain bikes, try this model, you will definitely be spoiled. The bikes are a bit heavy, but unless you are riding in the most challenging parts of the Alps, you’ll be fine.